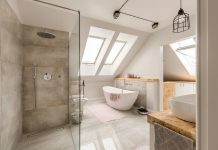 Shower curtains are often seen as an afterthought in the decoration and look of a home; however, bathrooms are an essential component of a house, and whether you use shower curtains or glass shower doors determines much of the look for this room. A shower curtain must fulfill two functions. It should keep water from reaching the bathroom floor, and it should provide a sense of privacy. The shower curtain system is comprised of several components. These include the shower curtain (mostly used as decoration), a shower liner, shower curtain rods, and shower curtain rings. For the most part, shower curtain liners remain unseen from the outside, so what is seen of the shower or bathtub is the curtain itself. The rods and rings of curtains should match the overall design and scheme of the bathroom. There are instances where shower liners are used without shower curtains. However, one of the most helpful household tips for bathroom decor is to always use a shower curtain. A homeowner would be wasting money on a high-quality shower curtain that does not have protection. Fabric liners are inexpensive, and they tend to last for a long time. These liners are made of cloth, and they can be washed often. Also, they are not prone to mold and mildew. Shower liners are available for prices between $10 and $100. A good choice for a curtain will depend on matching the structure and size of the shower. 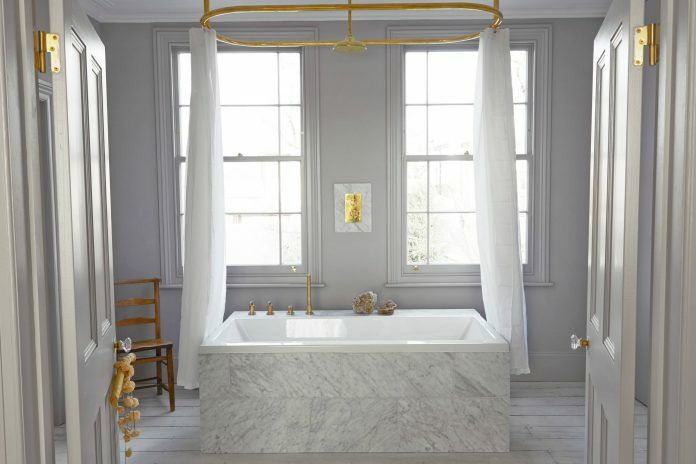 A standard shower curtain will have a size of 72-by-72 inches, but other options include “stall curtains, extra-long curtains for high-ceilings, and extra wide curtains.” To get the right measurements, determine the width and height of your particular bathtub. For a built-in tub, one should measure from the bottom of the curtain rod–adding an inch or two for the tub in order to prevent water leakage. With a clawfoot bathtub shower, it is important to purchase a length that does not gather too much at the bottom. A shower curtain should look like it is rising comfortably not hanging heavily. In addition to this, a clawfoot bathtub will require a surrounding track. 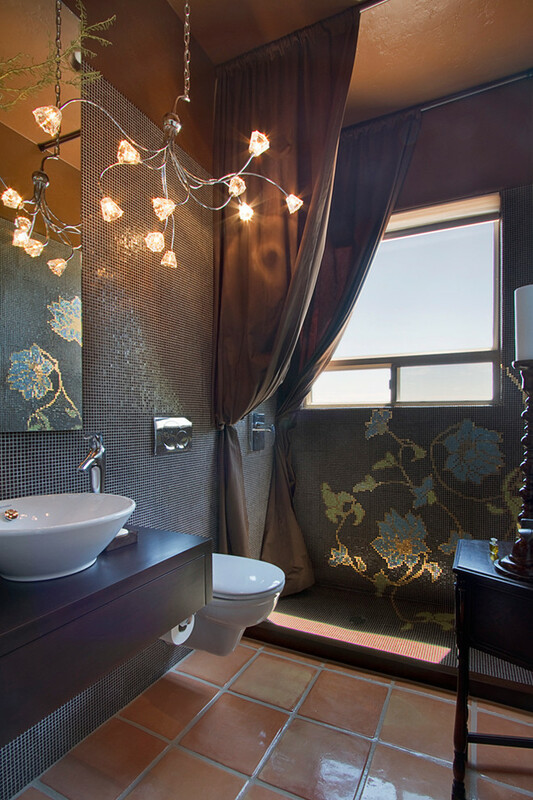 Also, the right choice for a curtain shower will depend on the type of material and the style of the curtain. Common materials for shower curtains include canvas, plastic, silk or satin, and polyester. 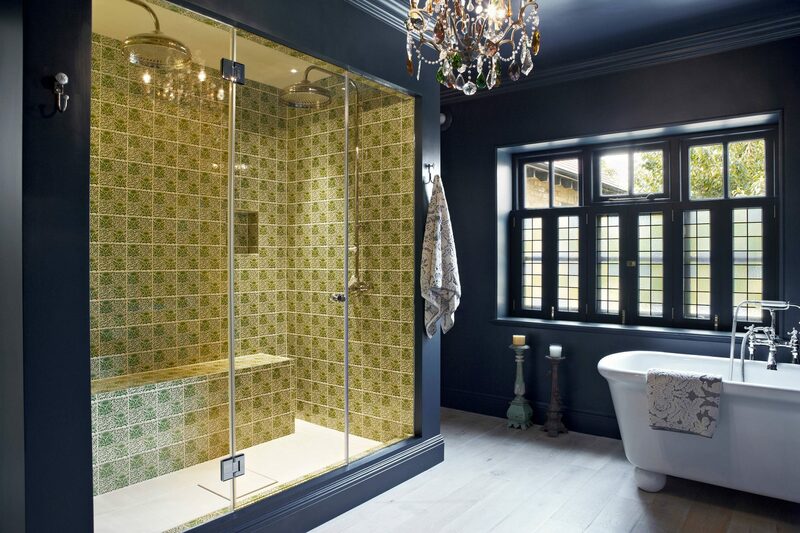 Of course glass shower doors are popular option as well. Canvas is a rough material that works well with water, and its shape will not be affected by steam. However, canvas is not completely water resistant. For this reason canvas showers require shower liners. These curtains are a bit expensive, but if a homeowner shops around, there is the chance of finding an affordable option. Plastic curtains can endure a lot, and even if they do tear, they are relatively inexpensive and can be replaced. For this reason, plastic curtains are suitable for bathrooms that are used a lot. The plastic material is also not prone to wrinkling. 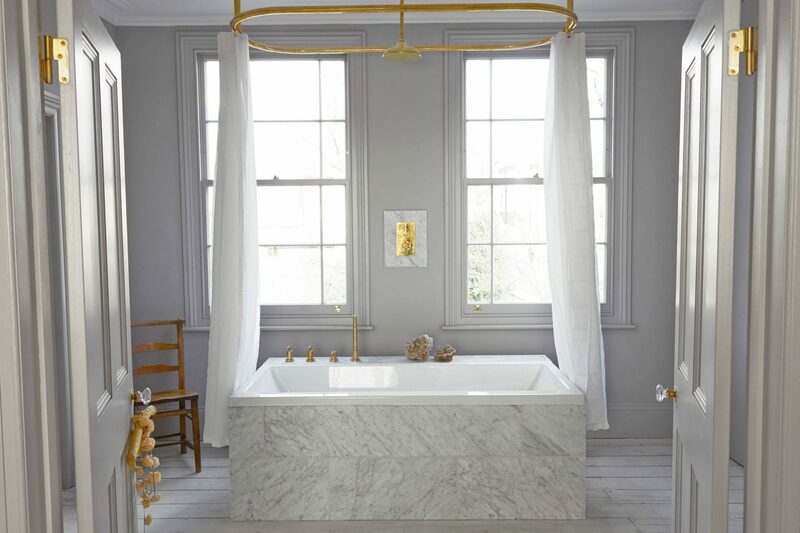 If a homeowner wants a more luxurious appearance for his bathroom, there is the option of using silk and satin fabrics, which will give a room a sophisticated appearance. On the downside, these materials are not water resistant and can easily be ruined when exposed to water. Silk and satin should only be used for design purposes. Synthetic shower curtains are easy to keep clean and very affordable. In addition to this, they have many water repellent traits, and this keeps them from acquiring mildew. Polyester shower curtains are made “thick and sturdy,” and they offer many cleaning advantages. They are partly water resistant, and they offer the buyer a variety of styles to choose from. One of the cons concerning polyester, and many synthetic curtains, is that they are man-made and not regarded as eco-friendly. Also, polyester isn’t a very luxurious or natural fabric. 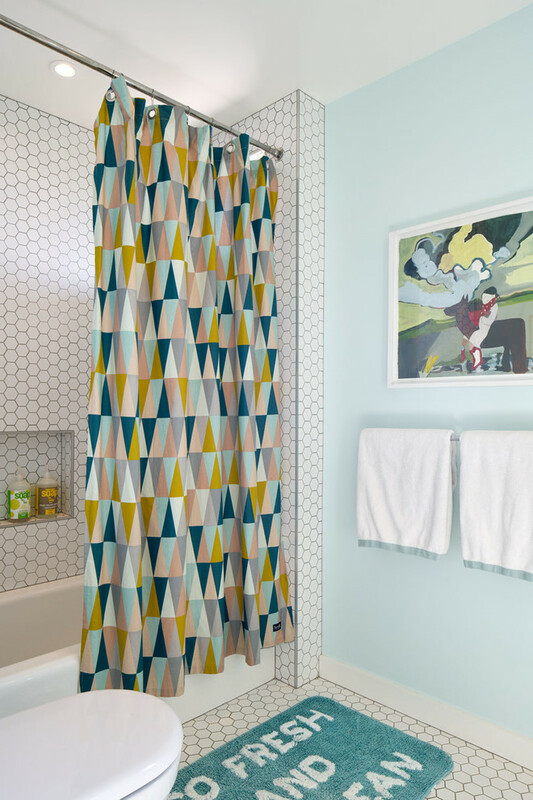 A recent report by the publication Wirecutter, identified the cotton shower called the Threshold Waffle Weave Shower Curtain White as an optimal shower curtain. This curtain is easy to keep clean, and it is made of a durable strand of cotton. In testing, it was able to withstand the attacks of a steak knife and a cat claw. 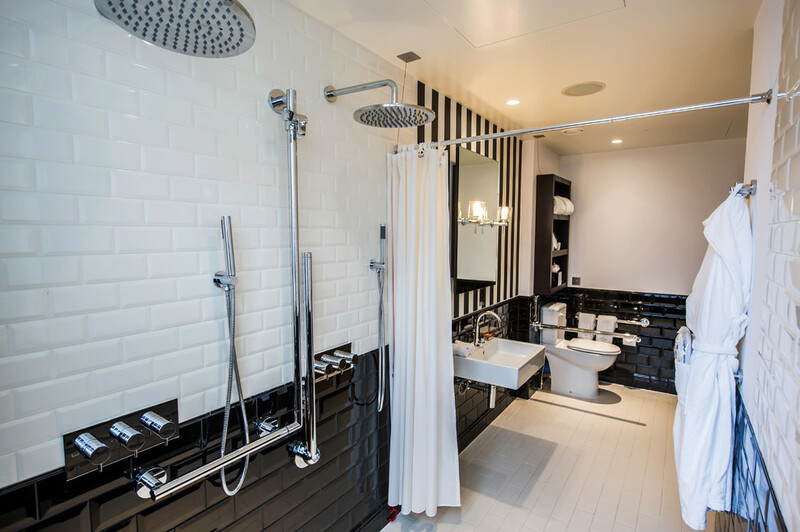 In terms of appearance, its clean white surface and weaving pattern harmonizes with many bathrooms. Cotton showers are regarded as eco-friendly, they are softer than synthetics, available in several colors, and they are commonly sold with matching towels. In the Wirecutter report, the runner-up was the Threshold Light Stripe Shower Curtain for a price under $40 dollars.